LPaG: Let's guess the car again! Its been a while... but Im back with another guessing game! :D Again, I wanted to make it a bit different... so instead of close-up shots or silhouettes, I chose to post just the rear sections of the cars! 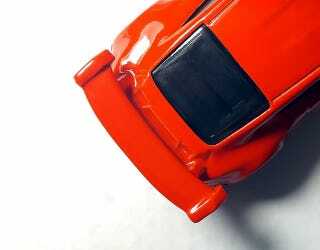 Lets see if you can identify the cat based on its rear wing or rear spoiler. With some casts, as with their real life counterpart, some may have active aerodynamics built in.... so the rear wing is flush with the body. And instead of the usual 10, there’s around 15 pics to guess this time, composed of various makes and models, and casts from other brands are included too (not just HW). LPaG: Let&apos;s guess the car again!